Jeff Kinney will take a gamble and launch his Massachusetts retail experiment this summer. 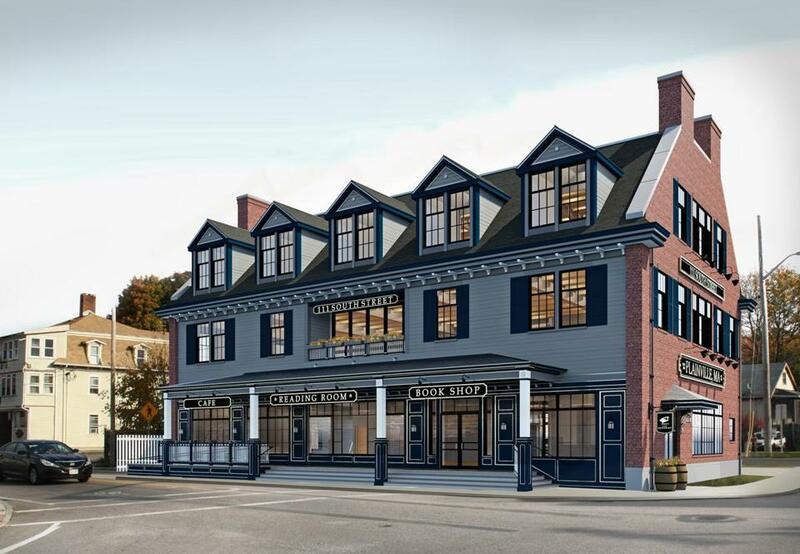 Jeff Kinney’s new venture is being built where a Plainville general store once stood. It is well known that running a bookstore is hard. Why do you think you can make it work? This is not a vanity project. I think a lot of people are expecting me to create a Wimpy world, but we don’t want that. That wouldn’t serve the community very well. We’re trying to create a business that succeeds, but it’s not the reason for creating the business. The reason that we wanted to create a bookstore in our town of Plainville is because, quite frankly, I feel angry that so many bookstores have gone away. Bookstores have always been such a big part of my life and my wife’s life, and we wanted to do something about it. We wanted to provide our kids and our community with a place where they could be exposed to new ideas, cultural events, and other people who love to read. Plainville has only 8,000 residents and is about 35 miles from Boston. How do you plan to generate buzz and attract visitors? I think that there is really a place for bookstores in small communities. Everybody’s buying habits have changed. People don’t go to the general store at the center of town anymore. They go to Target and to Costco. So bookstores have this opportunity to step in and be the reason that people come together and get to know each other. I also think that it will draw people from other neighboring towns. A lot of people are sharing my frustration that it’s hard to get to a bookstore. Our closest one selling only new books is about 17 minutes away, and we’re lucky. I hated to see Borders go as a chain, because I loved to just go into the store and lose myself there for a few hours. I think that a lot of independent bookstores are thriving these days. People love books and they don’t want to see them go away. We’d like to be a part of that movement. This summer, Plainville will be known for having the state’s first slots parlor. As a business owner, are you looking forward to the attention it will bring the town? I think most people in this town see that the slot parlor is a good thing. It’s going to bring revenue to this town that the town needs. We need to improve our Town Hall and our public works and public safety building for sure. Do you plan to be part of the attraction for this bookstore, as in doing signings and events? I do plan to be an occasional part of it, but if this is about me, then it’s not going to succeed, or if it depends on my presence, it’s not going to succeed. I want it to succeed on its own merits. I think that I’ll make appearances, do things like teach a cartooning class or maybe down the line a screenwriting class. I am actually eager to work as a staffer there. I’d like to receive books and shelve books and maybe do some book talking of my own. That’s something that I’m actually looking forward to, maybe working the cafe occasionally. I never got to do that kind of a thing, and I think it would be fun. An artist’s depiction of the store, near the Rhode Island border. Are your children going to be involved? I hope my 9- and 12-year-old boys will have summer jobs there and become a part of the fabric of that store. What are your thoughts on children reading e-books versus physical books? 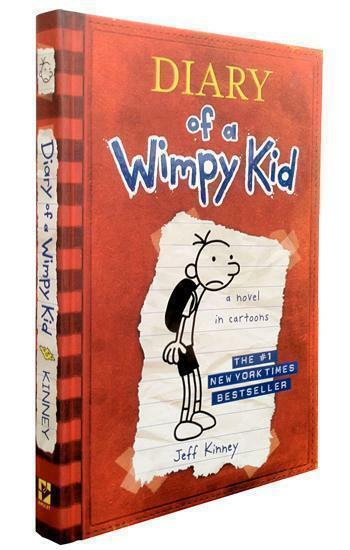 The Wimpy Kid books launched in 2007. I am a believer that it’s especially important to put a physical book into the hands of a kid. A kid connects to the ideas and the words on the page when they can hold it and feel the pages in their hand. Also, I think when a kid reads on a screen, there’s always something more interactive right there on their home screen, so it’s tough for books to compete in that space. Everybody knows at an instinctive level that a book in a kid’s hand is a good thing. It’s a good thing in the hands of an adult as well. I’m all for e-readers, and I have my own books on e-readers, but they’re a good supplement to reading physical books. Years ago, when e-readers came out, I thought that this was a great thing, because I see my kids with these really heavy backpacks. I think there is a place for that with textbooks. A novel is a different thing. I think there’s a correct medium for everything. I read something recently that said kids’ retention is higher when they read a physical book. That seems very plausible to me. What do you recommend parents do to sustain their kids’ interest in reading? The best thing that a parent can do is to give kids more of what they’re interested in, even if the parent isn’t interested in that. My older son, Will, was always naturally a good reader and then my younger son, Grant, he looked like he was going to be one of those kids who you had to bribe to read. He was very sporty. But then he read a few books about a soccer team called The Wild Soccer Bunch. Something just clicked, and the next thing you know he was reading Harry Potter on his own. Now he’s always seeking out something new to read. I don’t know if we made that click or if something happened within himself. I’m very happy that it happened. Of course, I’ve been lucky enough to talk to parents who say that Wimpy Kid was what made it click for their kids. I hope that those kids have moved on to bigger and better things. I trust that they have. The interview was edited and condensed. Visi Tilak is a freelance writer in Ashland. Send comments to magazine@globe.com. Correction: An earlier version of this story incorrectly described the lack of a bookstore in Plainville today.